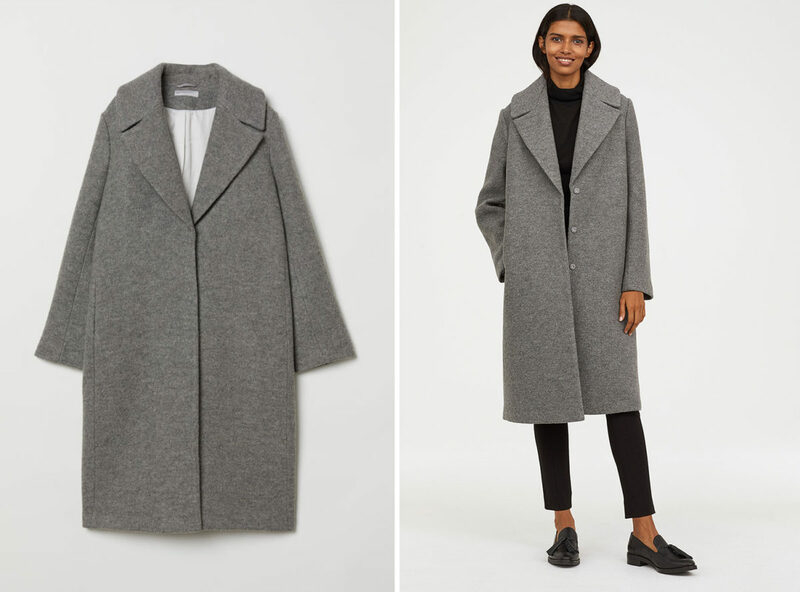 You just can’t go wrong with a grey coat for winter. 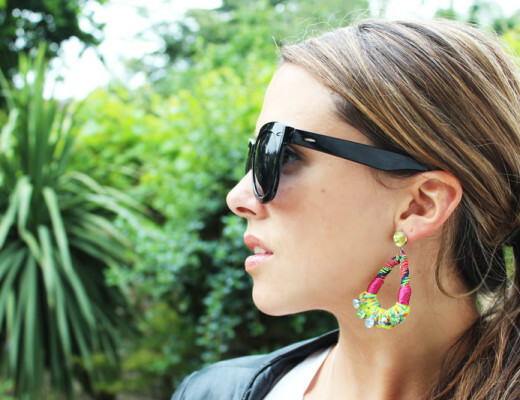 It’s classic, it goes with everything, and is a brighter alternative to the black coat. This gorgeous style is the perfect length and shape if you’re looking for a longline style. I love that the hidden press-stud fastening, and that is looks so expensive, yet it’s relatively affordable. A great investment for the coming winter (which you’ll have for years to come). The thing about winter, is that although in my opinion, everyone should have a grey or black coat in their wardrobe; sometimes all you want is just a bit of colour to brighten up the dark and grey winter days. I adore this pink knee-length style, as although the colour is quite bright, it’s still quite a muted shade. I love the soft, brushed weave texture, the slightly cropped sleeves and the little pocket flaps. I also think this is a classic piece, because of it’s simple shape and soft colour (it’s also an absolute STEAL of a buy). It was love at first sight with this short faux fur teddy coat. 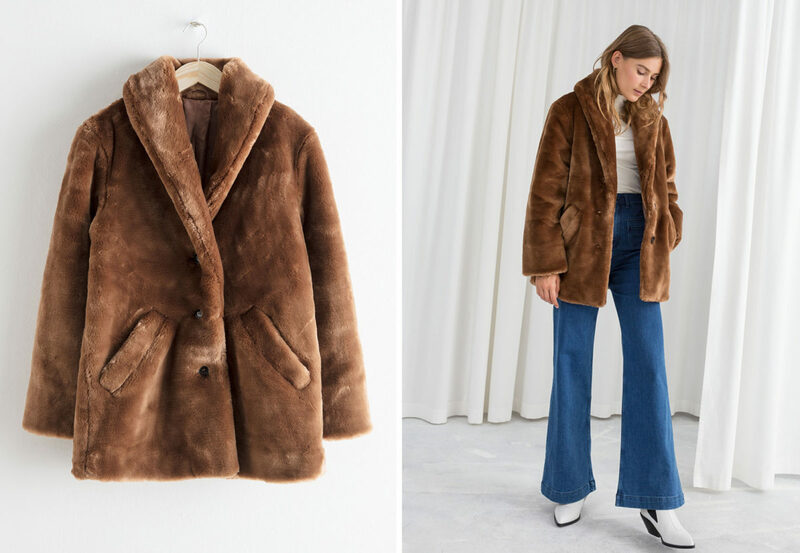 I adore the 70’s vibe and the colour and shape looks super flattering (the latter of which is so important with a more bulkier style like a faux fur). This is already on it’s way to me, and I can’t wait to wear this with jeans and boots (totally inspired by the model’s look), as well as leather skinnies and black booties, for a more sophisticated feel. Who needs real fur when faux is this good? 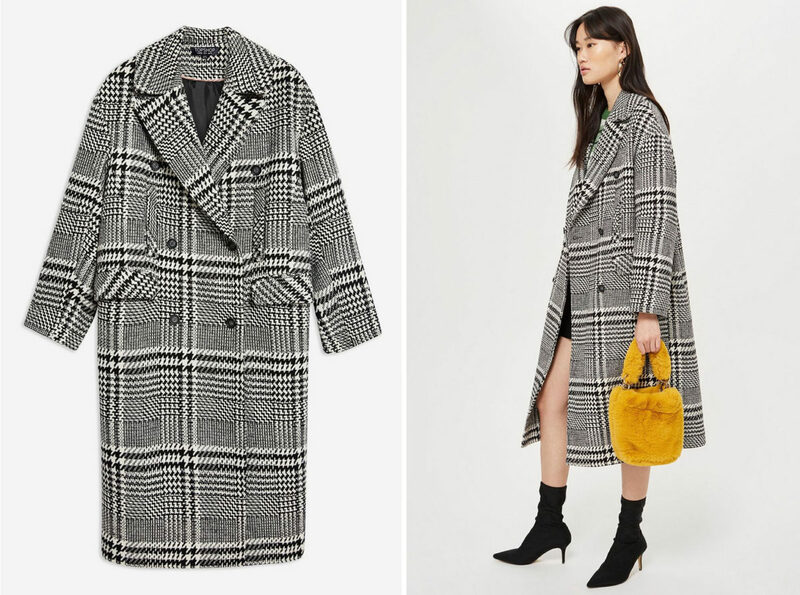 If you want a bit more of a statement alternative to the regular grey coat, this checked style is such an incredible piece. And even though it has a lot more edge than a regular black or grey coat, anything monochrome is always going to be something classic and versatile, which will last for years to come. This style is also bit more oversized, giving more of an androgynous look, which also happens to be bang on trend this season. Win win. Last but not least, a good quality black coat for the winter season is an absolute must. Needless to say there are so many great black styles on offer right now, but I feel like this particular coat had that extra something special. 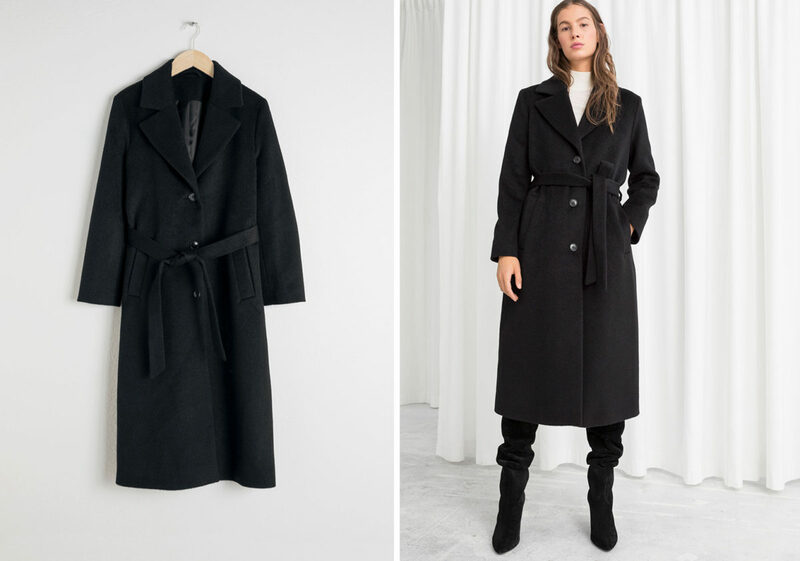 Firstly, I love that it’s belted, making it super chic and feminine – yet the longline, relaxed fit – really balances the overall style, making it such a stylish piece (not to mention that it looks like a proper designer coat, with a high street price tag). Now the weather is officially coat season! 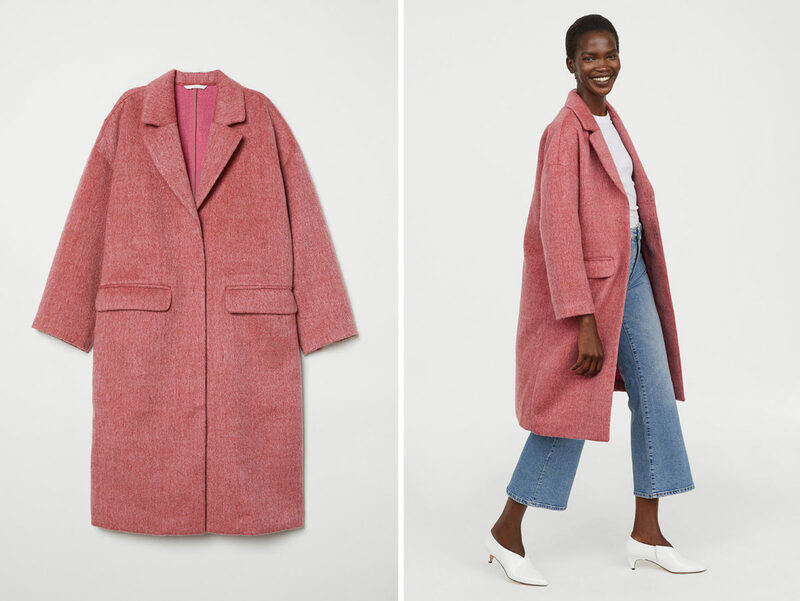 I am a self-confessed coat addict as you are. I love the black one with those gorgeous black high boots.